Having a balance diet helps in maintaining good health. And, for a person with chronic kidney disease, it is very important to maintain a healthy diet. Chronic kidney disease, otherwise known as chronic kidney failure, chronic renal disease, chronic renal failure, is a progressive disease, in which the kidneys gradually lose proper functioning. Diet plays an important role in maintaining kidney health too. 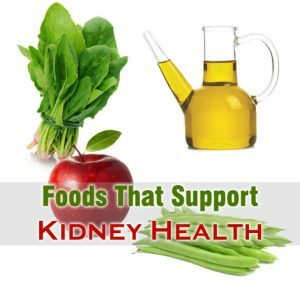 There are certain foods that support kidney health, which CKD patients should include in their diet to prevent further damage to kidney functioning. Diet with low salt and low fat helps in controlling blood pressure, and blood sugar levels. Controlling these two levels helps in preventing further worsening of kidney. You need to keep proper track of fluids, carbohydrates, proteins, fats, potassium, sodium, calcium, while eating for improving kidney health. Before dialysis is used for CKD treatment, taking enough fluids helps in prevention and treatment. Fluids intake helps in diluting urine, which is helpful for maintaining kidney health. Water is the best fluid to take. But, fruit juices, ginger tea, etc are also preferred. But, when dialysis is stated as a process of chronic kidney disease treatment, fluid intake should be limited. Fluids can get build up in body in between dialysis sessions. Patient will face the problem of shortness of breath by taking excess fluid intake. So, fluid intake should be limited and even fluid containing foods should also be avoided. Carbohydrates are the best and east sources of energy for our body. We can get enough carbohydrates from fruits and vegetables. Some of the best sources of carbohydrates include onions, fennel, beets, spinach, string beans, grapes, cranberries, and blueberries. However, sugar, hard candies, soft drinks, honey, etc, are also sources of carbohydrates. But, these being unhealthy should be avoided. Doctors suggest avoiding high protein foods for chronic kidney disease patient during pre-dialysis stage of CKD patient. This is because when high protein food taken, it makes the kidney to harder, which results in further damage of kidney. Dietitians generally recommend to have 1gm of protein per 1kg of body weight every. Low protein foods include fruits, vegetables, bread, rice, and pasta. Once dialysis process is started for CKD patient, high protein food is recommended. High protein food helps in building and replacing the muscles and tissues that are lost. Dietitians recommended having 8 to 10ounces of proteins per day for chronic kidney disease patient. High protein foods that support kidney health of a CKD patient include egg weight, egg white powder, and protein powder. Fats are the good sources of energy for our body. But, fat intake should also be kept in check taking too much of fat intake can result in developing heart diseases. You should make the healthy choices of fat, by choosing polysaturated fats like olive oil, canola oil, etc instead of monosaturated fats to keep heart and kidney health. Potassium is another important mineral, which should also be monitored in case of chronic renal failure. Food with low potassium helps in maintaining health as there is chance of increasing the risk of stroke by taking food with higher potassium levels. Some of the low potassium foods include eggplant, apple, beans, rice, pasta, pears, corn, pepper, cherries, berries, watermelon, and pineapple. Sodium intake is one the vital thing to consider while picking foods that support kidney health. Less Sodium intake helps in controlling blood pressure. It also helps in keeping you away from thirsty feeling, and thereby limited the fluid intake. Purchase items only that are labeled as no-salt added, low-sodium, unsalted, and sodium free. Even reduce the use of salt while cooking. These two minerals are also need to monitored for maintain kidney health. High phosphorus levels are found in blood with kidney disease. This can results in low calcium levels in blood causing weaker bones. Thus, phosphorus intake should be limited. Foods with low phosphorus levels include unsalted popcorn, rice, and corn.